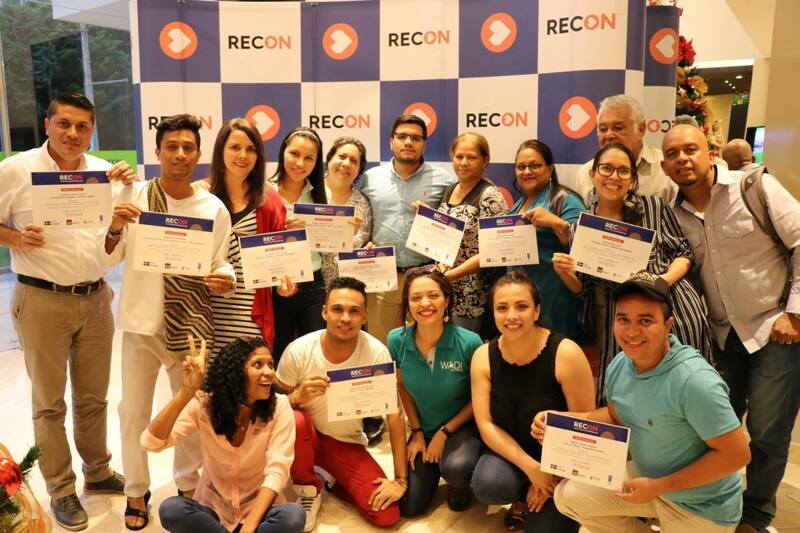 During three days in the city of Barranquilla, 20 social entrepreneurs of the Caribbean Region, of the departments of La Guajira, Atlántico, Bolívar, Magdalena Cesar, Córdoba and Sucre participated in the training day for social entrepreneurships of the Caribbean “Strengthening of the models of social businesses”. In this space they received training in several topics such as: business model, canvas analysis, market studies, identification of competitive advantages, definition of prices, promotion, placement and product and market measurements, with the purpose of strengthening to become more profitable and sustainable. The workshops were promoted by Impact Hub Bogotá, Athena and El Lab Coworking Cali. They also received training in the 2030 Agenda of the United Nations and the Sustainable Development Objectives –ODS, by the United Nations Program PNUD, where they learned to identify how their initiatives promoted the accomplishment of the ODS and the importance of working with a gender, ethnic, territory and environment focus. The training sessions took place thanks to the support of the Embassy of Sweden in Colombia and the Unite Nations Program for Development PNUD. Elizabeth Navarro of Gamarra Cesar, representative of the Lámparas Artesanales social entrepreneurship, a project which looks to generate income for demobilized people in the process of reintegration, pointed out that the program was very productive and that the methodology employed was appropriate to generate links of trust between the participants.